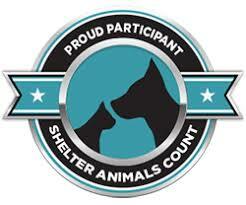 Adoptions - Peter Zippi Memorial Fund, Inc.
Click Here to View Our Adoptable Pets! By Appointment, 7 days a week. Please call (310) 379-1264 the day before to confirm that a volunteer will be at this location, or click “Schedule an Appointment” on the listing for an individual cat here. These are the minimum fees required. Please note they include their age appropriate vaccinations, microchipping, spay/neuter surgery, treatment for fleas and worms, and fairly often, costly treatment for other maladies, which result from abandonment. Over 6 years old to person over 60 years old is free. Of course, if you would like to make a larger donation to help cover our care for the homeless animals, we would be delighted. All donations over the minimum fees are tax deductible, and will receive written acknowledgement.If you are interested in adopting, please call (310) 379-1264 and speak to an adoption counselor.